Indiana was one of six states to file a lawsuit against the Affordable Care Act’s health insurance provider fee (HIPF) for State Medicaid plans. The U.S. District Judge ruled in favor of the plaintiffs, Texas, Indiana, Kansas, Louisiana, Wisconsin & Nebraska’s that the government must pay back $840 Million in Obamacare fees. What is the Health Insurance Provider Fee? The HIPF is an annual fee charged to health insurance companies on health insurance premiums. 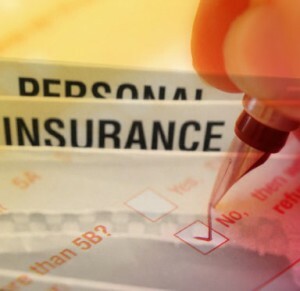 The Patient Protection and Affordable Care Act of 2010 assesses fees on insurance companies that provide fully insured health insurance coverage. The fully insured tax/fee is 3% of the total health insurance premium. Individual and small group health insurance plans. Stand- alone, dental & vision plans. Stand-alone, behavioral health, and pharmacy plans. Medicaid and Children’s Health Insurance programs (CHIP). Until recent court ruling! The purpose of the tax/fee is to help fund federal and start marketplaces/exchange. The estimated cost is $14 billion a year. The authors of the ACA & PRACA projected that there was going to be enormous profits for the insurance industry because of the Individual Mandate. Thus, they could tax the industry to fund the law. They also assumed that these profits would create carrier competition. The reality is the insurance industry passed this cost on to the members, which has led to everyone paying about 3% more to fund health care reform. The fact that Medicaid plan is now exempt from the ACA tax is a massive blow to the ACA and the funding mechanism. Indiana alone has over 2 million people on Medicaid, and it’s not clear the government can make up for this loss of funding for the ACA. $840 Million is a year is just a start, other states will follow and with an estimate of $5.5 billion attributed to the Medicaid tax. This is a massive blow to the ACA law, that is has gotten almost no attention! The funding of Obamacare may have just lost 25% of its funding. This estimated operating costs for the marketplace is $2.1 billion. It will be interesting to see if the government adjusts the federally facilitated marketplace. There could be a decision to turn those operations over to a third party.